We take pleasure to introduce ourselves as one of the leading organizations, engaged in offering a comprehensive range of Hammer Holder. Our offered holder is highly demanded in the market for its compact design and durability. 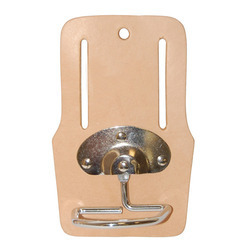 The offered holder is used for holding hammer. 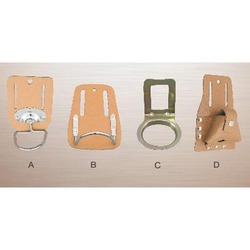 Moreover, holder offered by us can also be availed in various sizes and shapes as per different requirements of our precious clients. 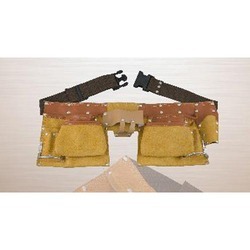 By keeping in mind the track of advanced market development, we are engaged in offering an exclusive range of Split Leather Welding Apron. 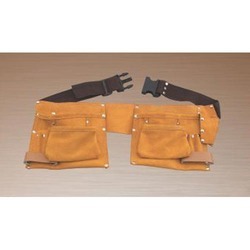 Mainly used by welders, this apron is made available in numerous specifications that are designed using latest technology. Apart from this, our clients can avail this apron from us at market leading prices. 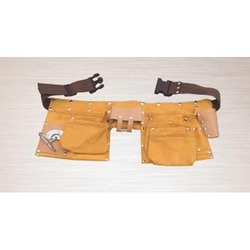 We are among the acclaimed firms, engaged in offering high qualitative 11 Pocket Professional Style Split Leather Carpenter Apron. 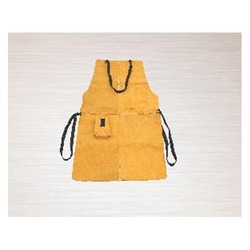 This apron is mainly used by carpenters for keeping nails and other related items. 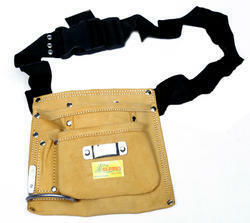 According to the specific clients' requirements, this apron is made available in various specifications. Clients can avail the entire range from us at affordable price. Backed with leading–edge technology and experienced professionals, we are offering an extensive range of 2 Pocket Nail Apron. This apron is mainly used by carpenters for keeping nails. Apart from this, this apron is extensively demanded in the market for its indispensable features. Clients can avail the entire range from us at affordable price. Looking for Leather Apron ?